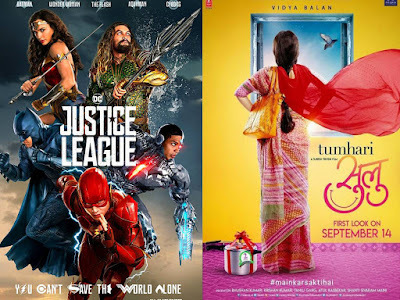 Hollywood Biggie Justice league collected very good collection in India In Its First Week In India and Movie will Sure To Hit Status. Justice League Collection Standing on 25 Cr Net and collection is good considering its a Hollywood Movie and Competition With Bollywood Movie Tumhaari Sulu and Aksar 2. The second one is Tumhaari Sulu which is a Bollywood movie and movie fared decently on box office. Movie collected 17 Cr business in first week. Movie will see a benefit of Second Week because Firangi now will release on 1 Dec,2017. Aksar 2 is washout and become disaster on Indian Box Office.